Buy the premier Supra Lockbox, the Supra iBox, for 25-30% less than the $100 plus retail price tag, with the GE Supra security of a Supra eKey. As the real estate market shows signs of improvement in 2012, American REALTORS® taking on more listings will need to provide their clients more security. To help prepare for this projected “boom” in the real estate market, LockBoxSwap has become the go-to shop for real estate agents looking to purchase a used Supra Lockbox for less than retail price. In 2012, the National Association of Realtors projects existing-home sales will rise 6.8 percent to 4.55 million units. More projected sales means more listings for real estate agents, and hopefully, more closed transactions and satisfied clients for our REALTOR® colleagues. With a large inventory of deprogrammed and fully functional Supra iBoxes, LockBoxSwap is here to help any real estate agent purchase a lockbox to accompany their Supra eKey (Supra Key) and ultimately provide the security of an electronic lockbox to their real estate clients. “We truly believe that every real estate agent should be able to provide their clients with the security of a GE Supra without paying full price,” says Fischer. As mortgage giants like Fannie Mae pass regulations requiring REALTORS® to use electronic “smart” lock boxes on REO and foreclosure listings, the service LockBoxSwap provides could not come at a more opportune time. 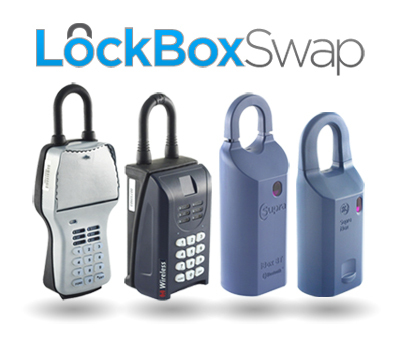 With a clean and easy-to-use platform, LockBoxSwap takes the hassle out of the process of buying a GE Supra, offering free shipping and deeply discounted pricing on a tool that is increasingly necessary for REALTORS® in 2012. See what America’s REALTORS® are raving about at LockBoxSwap, and get ready for the real estate turnaround we’ve all been waiting for. 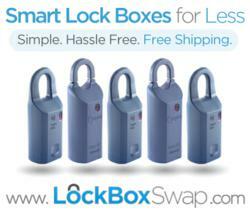 To lock up your listing for less, go to http://www.LockBoxSwap.com. For large volume orders (20+ units) call Michael Fischer, at (888) 835-2540.